Telit GE310-GNSS IoT Module fills European demand for GSM/GPRS compact form factors, and is part of Telit’s migration-support program that helps customers leverage 2G’s low cost and broad coverage while preparing for 4G and 5G. 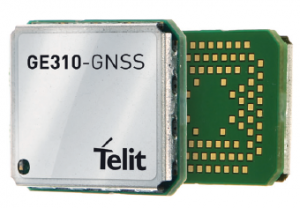 Telit has released the GE310-GNSS, an internet of things (IoT) module with GSM/GPRS, multi-constellation satellite positioning and Bluetooth functionality in a 270-millimeter-squared form factor. The GE310-GNSS enables original equipment manufacturers (OEMs) and system integrators in application areas such as asset management, utilities and telematics, meet strong demand for low-cost, highly compact devices without tradeoffs in performance, reliability and functionality, particularly in regional markets such as Europe, where 2G is forecast to remain in strong growth in number of IoT connections for many years. The GE310-GNSS features a miniature form factor packaged in an LGA 94-round-pad format. It is designed to meet the robust demand in Europe, Latin America and other regional markets for compact devices such as health and wellness monitors, smart residential and commercial thermostats, commercial fleets and IoT-connected grid equipment for smart utilities. 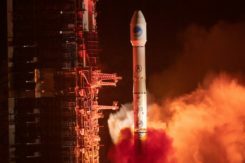 With support for Europe’s Galileo as well as other satellite positioning constellations, the GE310-GNSS is suitable for IoT applications that require location awareness throughout Europe and the rest of the world. The module’s Bluetooth 4.0 capability makes it easy for OEMs to add connectivity to proximal area network devices, Telit said. The GE310-GNSS is part of Telit’s future-proofing program, which helps customers leverage 2G’s low cost and gapless European coverage immediately while retaining absolute control of when they switch to a compatible 4G module in the Telit family lineup. The lineup includes multiple roadmap paths to upgrade to 4G and later to 5G based on the customer business strategies and specific market conditions. Research firm ABI Research estimated in its “ABI IoT Market Tracker – Worldwide – October 2018” that 2G cellular IoT connections will continue to grow in Europe from 100 million in 2018, reaching a peak of 148 million connected devices in 2022 before slowly dropping to about 89 million in 2026. For more information about the GE310-GNSS and other Telit IoT solutions, visit booth A.b80 at European Utility Week, Nov. 6-8 in Vienna, Austria.